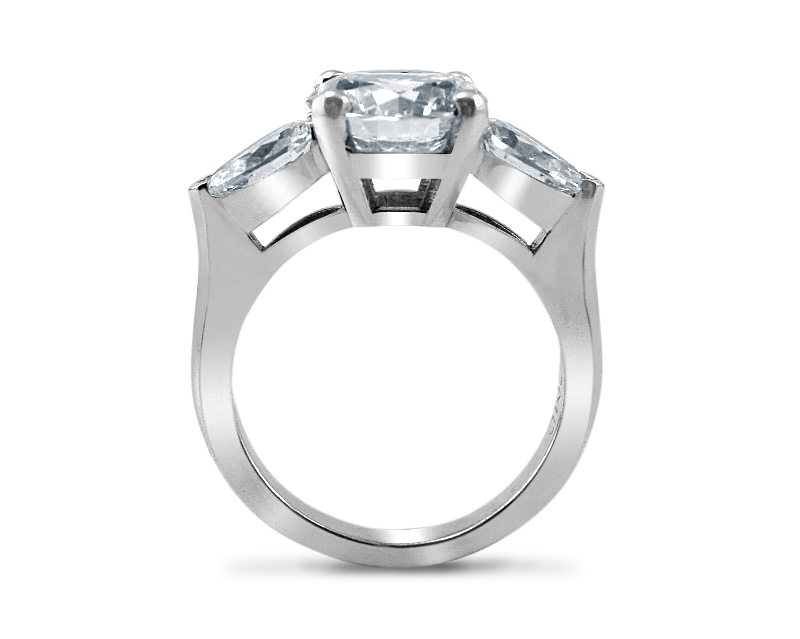 This stunning platinum setting is perfect for a large center round diamond of 2+ carats and 2, .5 carat pear shaped diamonds. Center diamond and side diamonds sold separately. 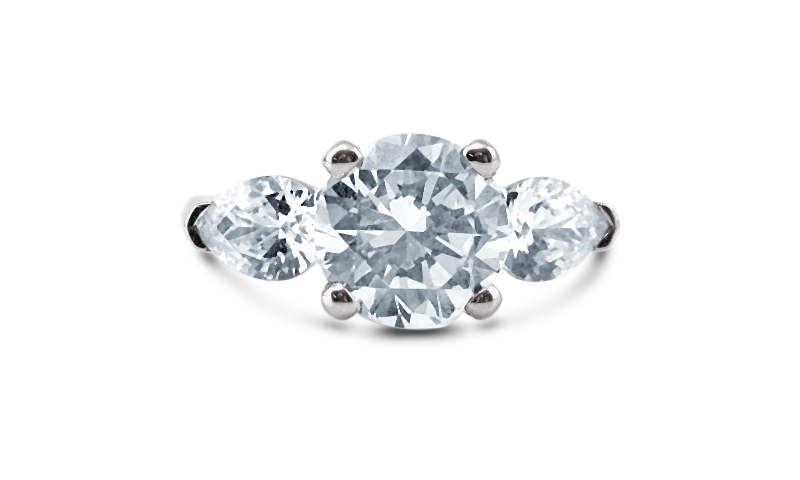 Curved to the finger your lovely rare diamond ring drapes gently in an arc across your finger. The distribution of weight makes it comfortable and stable on your hand. The perfect engagement ring. Side band is available. Named for the rare flower the middlemist, this flower is yours forever!